WHEN MARTEL COLLEGE opened in 2002, it was the first new college at Rice in more than 30 years. Because its benefactor, Speros P. Martel, was a Greek immigrant, it made perfect sense to honor him with a Greek-themed party. Erin Sozanski ’07 recalled the first “Greek week” tradition in 2005. “We had light pink and blue T-shirts, a toga party and a Mr. Martel pageant.” Her favorite event was the Mr. Martel competition, where contestants showed off such unconventional talents as dancing, falconry and poetry recitation. The following year, Martel builders constructed an elaborate life-size replica of the board game Candy Land (dubbed, naturally, “Brandyland: Case Race to Rumdrop Mountain”). The final product, according to Justin Montes ’14, featured “a realistic peanut brittle cottage, a four-story facade of King Candy’s Castle, a small Gumdrop Mountain, a pleasant Plum Tree, a two-story, freestanding Licorice Castle and a set of colored tiles with 30 spaces from the beginning to Rumdrop Mountain. There’s a highbrow element to the college’s traditions as well. In fall 2005, Ralph S. O’Connor, Karen Mathews and Karen Ostrum George ’77 — Martel associates and longtime Rice benefactors — donated a piano to the college. Zach Averyt ’08 recalled that he and other Martelians wanted to express their thanks to the donors, “and we decided that the best way to do that would be to showcase the instrument in performance.” Averyt and Karen Jeng ’08, both music students, put together a program that ran from Chopin to Prokofiev. The recital has become an annual event, usually held in February, said Maria Byrne, Martel College coordinator. 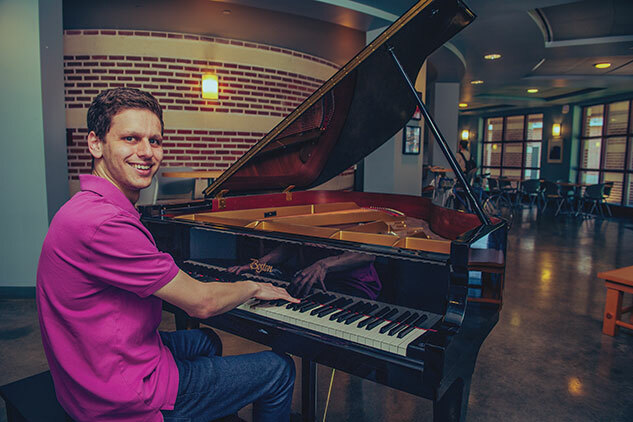 From piano concertos to big builds, Martel is tuned in to college traditions.